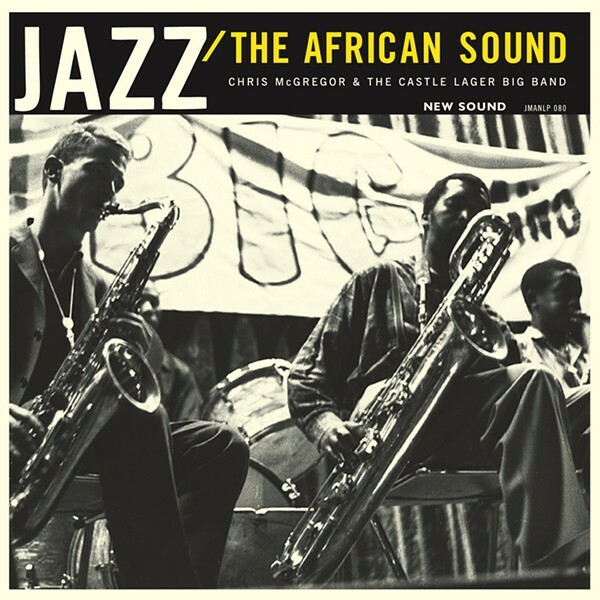 I've long been a fan of the jazz that emerged from South Africa in the early 60s, when the likes of pianists Chris McGregor and Dollar Brand (aka Abdullah Ibrahim) and saxophonist Kippie Moeketsi forged a remarkable sound by fusing postbop with traditional kwela sounds from the black townships. 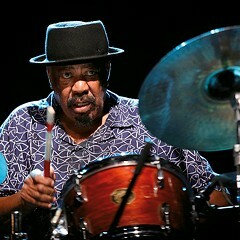 In particular, McGregor—a white musician—was a huge proponent of this emerging style as leader of the Blue Notes, a mixed-race South African group that fled the country for Europe in 1964 and introduced the world to brilliant instrumentalists such as bassist Johnny Dyani, trumpeter Mongezi Feza, saxophonist Dudu Pukwana, and drummer Louis Moholo. (Blue Notes saxophonist Nik Moyake got homesick and fell ill while abroad, and in 1965 returned home, where he succumbed to a brain tumor within a year.) The group eventually settled in London, and McGregor went on to expand their hybrid sound with his brilliant big band the Brotherhood of Breath, which drew from the Blue Notes' roster and was enhanced by some of England's finest players. Recordings of early South African jazz have always been scarce—during apartheid, most black musicians had scant opportunity to play and record for the general population. Because he was white, though, McGregor had better luck, and in 1963 he made an album that's become one of the rarest documents of that era. The pianist convinced the South African brewery that made Castle Lager to sponsor a big band during the four years (1961 through '64) it put its name on an annual jazz festival in Soweto. The sponsorship proved incredibly short-lived—it lasted just two weeks, during which McGregor assembled most of the important musicians in the country (mostly black, but some white), arranged some material, rehearsed, cut a studio album, and played a couple gigs. That was it for Chris McGregor & the Castle Lager Band, which included Pukwana, Moeketsi, Moyake, and Feza in its stellar cast of 16 strong. The group's sole recording, Jazz—The African Sound, was released in 1963 and reissued in 1991, but just in South Africa. Only recently did it finally become widely available (LP, CD, and download) via British imprint Jazzman. The music is fantastic and exhilarating, even though it only flirts with the kwela influence—you can hear it on the powerful opener, "Switch" (posted below), one of two pieces by Moeketsi (McGregor and Brand, who didn't play in the band, each wrote two of the other four tunes). What's inescapable in this material, however, is McGregor's ardent love for and thorough understanding of Duke Ellington's orchestral style. His arrangements are lush and propulsive, deftly highlighting the melodies with brilliant harmonies and crystal-cut counterpoint. Even at this early point his career, McGregor was demonstrating a sharp understanding of how to fit the different sections of a large band together. The album is an undeniably important historical document, and I've listened to it about six times in the past two days—it's thrilled me every time. I won't say I like it as much as what McGregor and his cohorts accomplished later in their careers, but that's an extremely high bar to clear.